Equipoise does not build muscle rapidly but provides a slow yet steady improvement in strength and muscle mass. Most of the positive effects are likely to be seen when the drug is being used for long cycles with 10 weeks being the bare minimum period of usage. One cannot expect the muscle gained to be the smooth bulk which androgens lead to. Equipoise users on the other hand get a well-defined and solid look. Description: Equipoise is also known as Boldenone Undecylenate. This steroid is either from approved veterinarian labs or made in an underground laboratories. Equipoise has a very long half-life, 14 day. This powerful steroid is utilized by bodybuilders and athletes to improve lean muscle mass, endurance and the production of red blood cells in the body. It is highly popular for providing slow and steady muscle gains during bulking cycles. The average dosage for equipoise is 400-600mgs per week for men and 25-50mgs per week for women. This drug is very versatile and ideal for both cutting and bulking cycles. Equipoise steroid is one of the popular performance enhancers similar to testosterone. This steroid is a versatile anabolic steroid and ideal for any cycle. It is actually referenced brand name for steroid boldenone undecylenate. Equipoise has gained popularity among athletes and bodybuilders due to less androgenic form of Testosterone with less Estrogenic activity. This steroid was first developed in 1949. It's a first synthetic derivative of Testosterone. It was developed for use in horses. This steroid is a veterinarian grade steroid and is not developed in a traditional human grade form. After some time, this steroid proved to be beneficial for a man same as that of horse. From chemical point of view, this steroid is just the upgradation of testosterone molecule and it features the similar anabolic properties as testosterone. This steroid is the trade name of Boldenone Undecylenate and also called as Ganabol or Ultragan. C19H26O is the chemical formula of Equipoise. And chemical name of this steroid is 1,4-androstadiene-3-one,1 7b-ol.Its molecular weight is 286.4132 g/mol. Its chemical structure is 1,4-androstadiene-3-one,17b-o. This steroid is cheaper than Deca Durabolin. One of the top benefits of this steroid is that it is associated with very small amount of water retention and aromatization. This steroid should be stored at a controlled room temperature of 20° to 25°C and kept away from sunlight, kids, pets and moisture. Well, this steroid improves muscle strength and appetite. It also improves the blood circulation. This makes equipoise highly popular and preferable among athletes and bodybuilders. • The half life of this steroid is approx. 14 days making the requirement for frequent injections. • Believe it or not, many performance athletes and bodybuilders regularly inject the drug multiple times per week to stabilize. • Equipoise steroid is beneficial to increase protein synthesis, nitrogen levels, red-blood cell counts and appetite stimulation. • This steroid is known to offer gratifying results when used with other steroids. This steroid has become a favorite among the bodybuilders and athletes and successfully replaced Deca-Durabolin. This drug doesn't develop muscles quickly but offers a slow improvement in muscle mass. Mostly, we see positive results with 10 weeks usage of equipoise. Keep in mind that the chemical structure of Diabanol and Equipoise is quite similar. Equipoise is one of few steroids that are fine for women use. It has low androgenic activity; virilization is not encountered if utilized in small amount. Usually, equipoise needs to be taken at least once a week. It is advisable to consider 400-600mg dosage for men and 50-150 mg per week for women. Combining it with other testosterone steroids will lead to mass development and muscle hardness. This drug is highly effective once stacked with other performance enhancing drugs. It must not be taken for over 16 weeks. For cutting purposes, this drug must be combined with Winstrol or Trenbolone. Average dosage of this steroid for cutting is 400 mgs per week. • This steroid is highly used by athletes and bodybuilders to acquire clean muscular and enhances muscular description. • This steroid is used in cutting as well as bulking steroid cycles. • You will get pretty clear-cut results with the intake of this steroid. 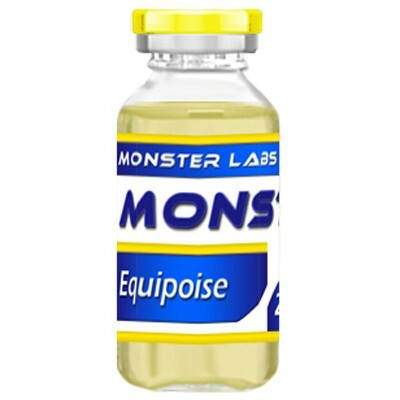 • Equipoise is highly versatile and can be used with a wide range of other steroids for better results. • With the intake of this steroid, you'll notice increased aerobic ability, increased oxygen retention, improved immune system, increased nitrogen retention and increased appetite. • Great strength will be acquired by bodybuilders and athletes with the regular intake of equipoise. Buying equipoise online is the effective and efficient way as you'll find the most reasonable prices. It is advisable to check the steroid online with care to avoid any risk in future. Sexual: There are several sexual effects experienced with the intake of this steroid. This drug suppresses the hormones to make them combine with the testosterone to become highly effective. Appearance: With the intake of this drug, you may notice appearance-wise side-effects including acne, hair loss, oily skin, increased aggression, gynecomastia, blood pressure, virilization, appetite etc. When you start taking this steroid, it is advisable to start with mild dosage. You can increase the dosage slowing to maintain the stable results. Keep in mind that the slow and steady development of muscles will have no side-effects and lead to gratifying improvement. It is advisable to take this steroid with care to avoid its negative effects i.e. acne, aggression, oily skin and hair loss. Improve your muscle strength with the intake of Equipoise!